Are you looking for quality marquees and tents at an affordable price? Look no further! Our company stocks a wide variety of tents, available in different shapes and sizes, suitable for any type of event. Finding a suitable tent for your wedding, birthday, traditional event or thanksgiving ceremony has never been easier. 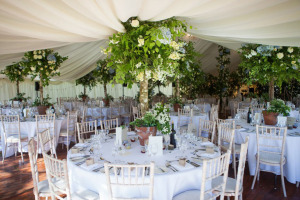 Besides, our marquee hire West Coast experts are always available to help you make the right choice. Our delivery and assembly services are second to none. We are always available to deliver even on a short notice. Therefore, if you have an urgent occasion and you need a tent, you only need to call 021 300 3641 and we will be sure to have something suitable for your needs. Our tents are of the highest quality, 100% waterproof, and can be installed on various types of terrain. Our tent hire services in West Coast are conducted with safety and attention to detail in mind. Your event can never go wrong with our beautiful robust marquee tents! Our tents are a perfect solution for your outdoor parties and events. Besides, they are available at very affordable prices. We also provide gazebos at very affordable costs along with décor and drapery hire services. Do not hesitate; call us today for quality and affordable services.